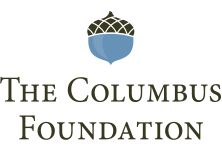 The Columbus Association for the Performing Arts (CAPA) today announced the 10 local high schools selected to participate in the first-ever CAPA Marquee Awards. Designed to recognize and celebrate the wealth of high-caliber musical theatre talent in central Ohio, the newly created awards program will send adjudicators to a performance of each participating school’s qualifying musical theatre production to evaluate nominated students/productions in the categories of Best Actor in a Leading Role, Best Actress in a Leading Role, Best Actor in a Supporting Role, Best Actress in a Supporting Role, Best Musical Production, Best Direction, Outstanding Ensemble Performance, and Outstanding Student Orchestra Performance. Adjudicators will also separately evalute hard-copy nominations submitted in the categories of Backstage Excellence and Outstanding Technical Achievement. Pickerington High School North, Mamma Mia! Throughout the 2018-19 season, musical theatre students from these participating high schools will be invited to attend free master classes and talk-back opportunities with touring Broadway cast members and local/touring talent in their chosen field of interest. On May 7, CAPA will announce the (up to) five nominees selected for each category. On June 3, the CAPA Marquee Awards will culminate with a red-carpet ceremony and student showcase at the Lincoln Theatre at which winners in all categories will be announced. Modeled after the Tony® Awards, the CAPA Marquee Awards will showcase live performances from the nominees for Best Musical Production, as well as opening and closing numbers that incorporate nominated students from all participating high schools. Students selected as Best Actor in a Leading Role and Best Actress in a Leading Role will be designated as official Jimmy® Award nominees and receive a CAPA-sponsored trip to attend “Jimmys Week” in New York City, a nine-day professional training intensive with theatre professionals and industry experts, and compete on the national level for the 2019 Jimmy® Awards for Best Performance by an Actor and Best Performance by an Actress. The Jimmy Awards® program impacts more than 100,000 students who participate in high school musical theatre competitions sponsored by presenters of Touring Broadway productions throughout the United States. Presented by the Broadway League Foundation, the program sends a Best Actress and a Best Actor winner from each of these competitions to New York for a week-long theatre intensive of coaching and rehearsals with industry professionals in preparation for a one-night-only talent showcase on Broadway. Named for Broadway impresario James M. Nederlander, the program has been the catalyst for more than $2 million in educational scholarships. For more information, please visit www.JimmyAwards.com.